How do I send Bcc from Apple Mail and import recipients from Excel? 175. 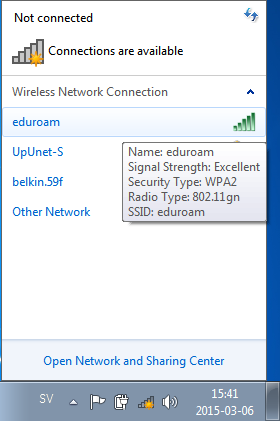 How do I use Eduroam, the wireless network, in Windows? For manual installation follow this guide. With ZENworks you do like this. Wait for installation. It will not take long. 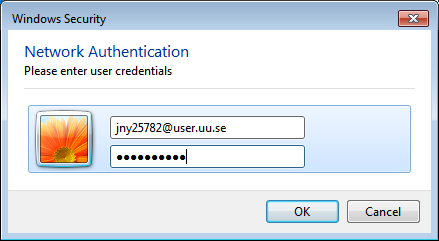 Enter your username followed by @user.uu.se and your password B. This is not the password you use for logging in to your computer but the other one. 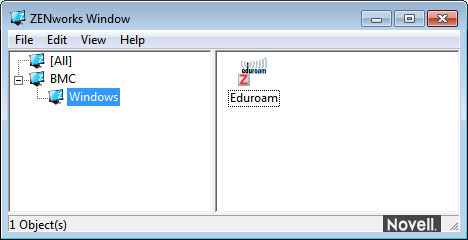 If you have disconnected from Eduroam and want to connect again open the wireless connections in the taskbar and click on Eduroam.